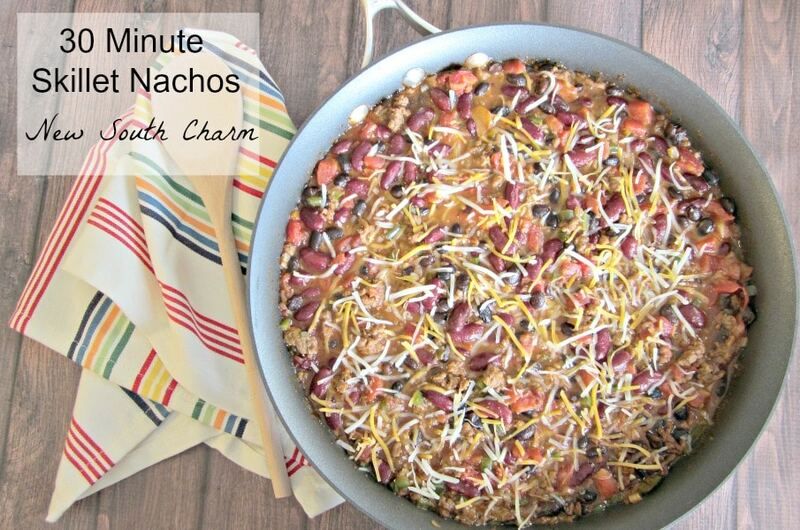 This recipe for 30 Minute Nacho Skillet is one of those recipes that’s easy to toss together when you’re in hurry or just too tired to cook dinner. 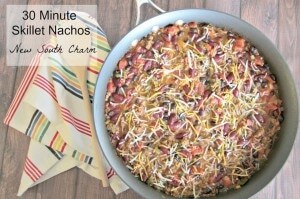 I try to always have the ingredients to make these nachos. Don’t you just love Nachos? I know I do. I love how much fun they are to make and to eat. Plus they are easy to personalize to your own specific taste with different condiments and toppings. 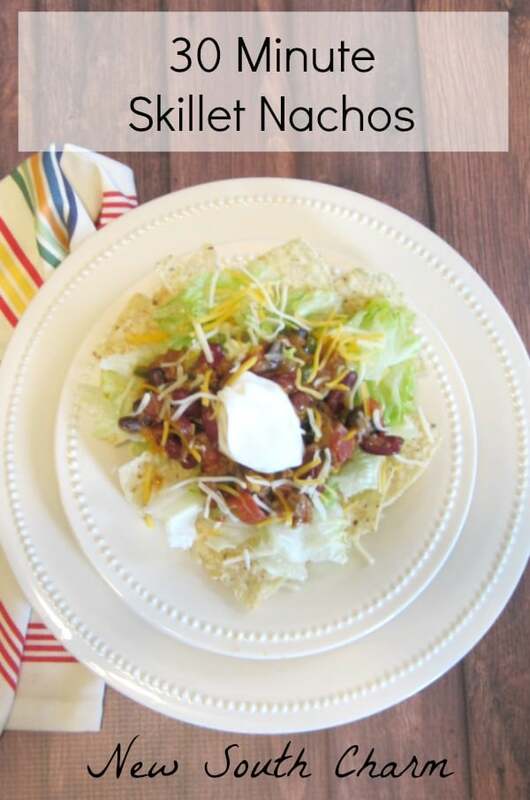 This recipe is actually adapted from a couple of different recipes I’ve tried over time. I took the parts we liked the most from those recipes and joined them into one. 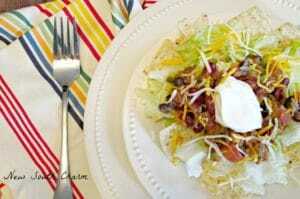 Like all the recipes I share with you it’s easy and inexpensive to make. I also added beans to give the recipe more protein and make it more filling. Also serving it over lettuce is a great way to add more vegetables to your diet. If you have concerns about the empty calories from the tortilla chips you can skip them all together. Another option is to crush a few and sprinkle them over the top as a garnish. I usually put a few at the bottom and then pile the lettuce on top. This was I’m getting the crunchy and salty flavor I love about nachos but with fewer calories. My husband and I garnish our nachos differently. 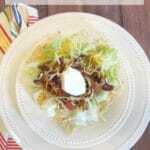 I like to add sour cream, a little extra cheese, and a lot of lettuce. He likes to add jalapeño peppers, a little lettuce and a lot of extra cheese. This is a very flexible recipe that allows you to personalize it to your preferences. No matter your preferences you’re sure to love the recipe. I love 30 minute meals. This looks so good and I love that it has 2 kind of beans!